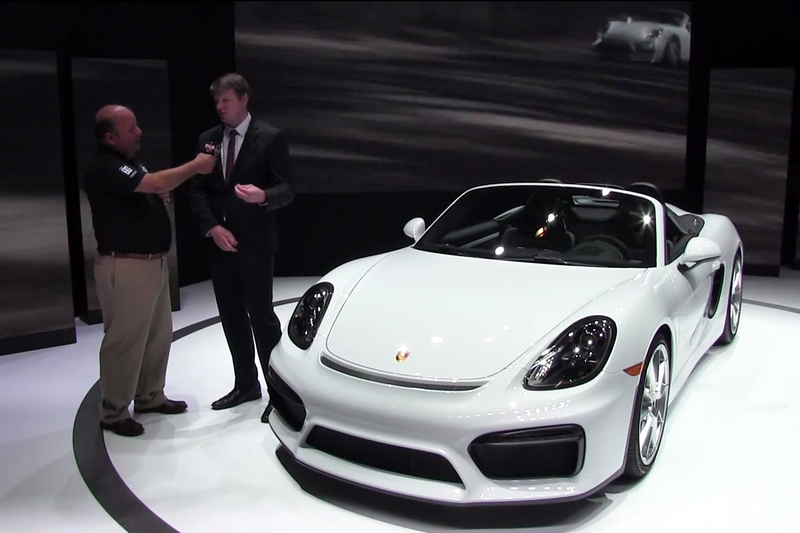 On Friday, Porsche Club of America members were treated to a private unveiling of the new Boxster Spyder before the New York International Auto Show (NYIAS) opened to the public. Members filed into the Porsche booth at 8 AM for the club preview event for some breakfast food and presentations detailing the new Boxster and other models in the automaker's lineup. Can the new Spyder achieve maximum velocity with the top raised? Is it easier to raise and lower the top than before? What makes it different from other Boxsters, the previous-generation Spyder, and the GT4? Watch the video below to find answers to your questions and see the Spyder up close. Skip to 5:58 (or click here) to see the convertible top lowered and raised.